NESA members $120 and non-members $150 (inclusive of GST) per registrant. When working with people from different walks of life on a daily basis, and often requesting them to undertake activities they may not be enthusiastic about, some level of challenging behaviour is inevitable. This is a two session online coaching program designed to build skills in dealing effectively with challenging behaviour from an employment services perspective.  Understand the principles of how to self-manage and remain resilient in confronting situations.  How to maintain safe limits and set client expectations.  Understand how good communication can influence people.  Learn how to develop effective listening skills and assist clients to develop new skills in communication.  How to recognise and deal with clients effectively when you feel like you are being provoked.  Have opportunities through case examples to link theory to practice and application for a safe environment. Provide a written example of a time when you were confronted by disruptive behaviour and what you did to de-escalate and minimise the effects. 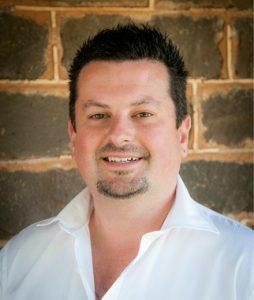 With over six years’ experience managing hotels in Melbourne and Geelong, and over ten years’ experience in Employment Services in both front line and management roles, Matt has seen it all. He has worked in priority regions where high levels of anti-social behaviour are prevalent. Matt is educated and experienced in conflict management believing that the real secret is to be able to identify a challenging situation and effectively communicate with the individual to gain a mutually agreed outcome.